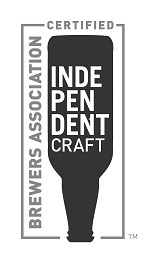 On Line Reservationsbrewery EmperialOn tap nowMenuBiscuit-Where can you get it?CocktailsSend a giftFind us! 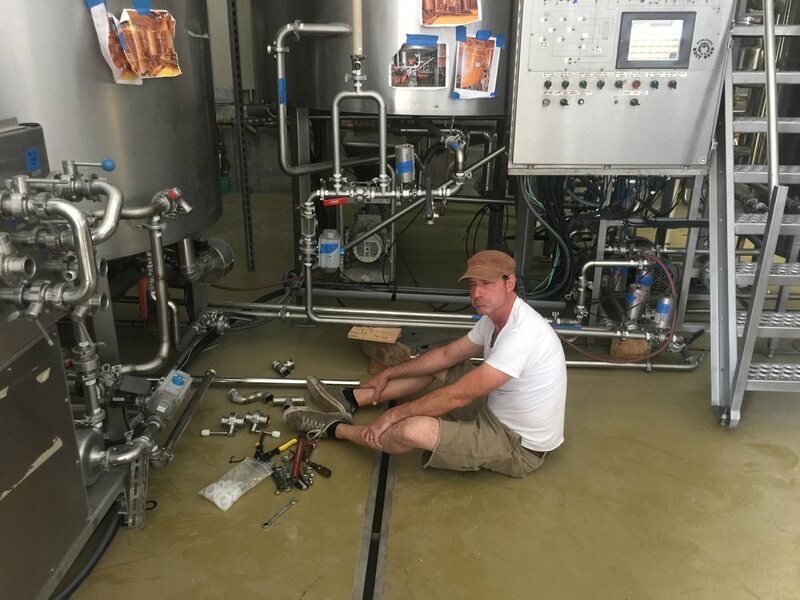 Brewmaster,Keith Thompson as he re-engineers the brewhouse assembly. Formerly used by HItichino Nest in Naka Japan. Our 15 bbl four vessel system consists of a mash mixer, lauter, kettle, and hot liquor tank. From there we transfer wort to custom designed square-glycol jacketed30 bbl fermentors where we pitch our yeast. (By the way- when talking about the fermentation of something, the container the fermentation takes place in is a piece of equipment, or a ferment-or. The person (or organism) doing the fermentation is the ferment-er. The final judge of the fermentation is the drink-er:-) Single walled serving vessels(also 30 bbl) flow directly to our taps from our cold cellar. Our fermenting and serving tanks were purchased locally(as locally as possible) from Custom Metalcraft in Springfield MO. Stop by later some afternoon and ask for a tour, we'd love to show you around. The day life as we knew it was about to change! We made it to the finish line!